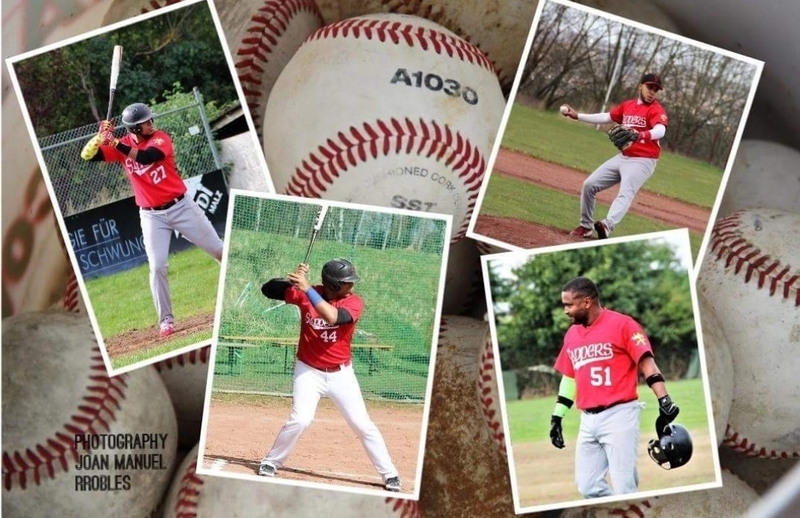 On sunday the 15th april 2018, the Red Sappers won their second game of the 2018 Baseball Verbandsliga Südwest (SWBSV) on the Beckerich Baseball field against the Worms Cannibals 18-1. The team seems to be at a midseason form, although it has been only two games in the tournament so far. Keep up the good work and we'll be just fine when it's all set and done. Juan Gonzalez and Jakcar Valenzuela with both 2 Homeruns each. Manuel del Orbe with his first Homerun for the Red Sappers and last but not least: Fernando Pena with his eczellent Pitching performance, allowing only 1 hit. Written by Christoph Kühnemund, 16/04/2018 15:12.